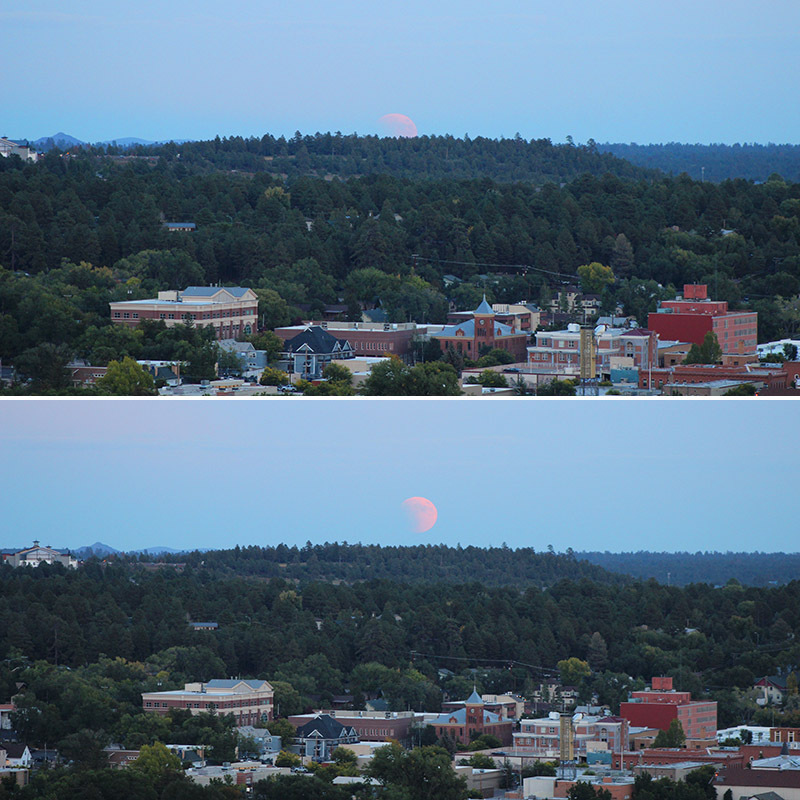 In the spirit of the upcoming solar eclipse on August 21, we venture back two years to Flagstaff, Arizona for Mr.D’s birthday trip and wouldn’t you know … a supermoon aligned for a total lunar eclipse just for his special day! 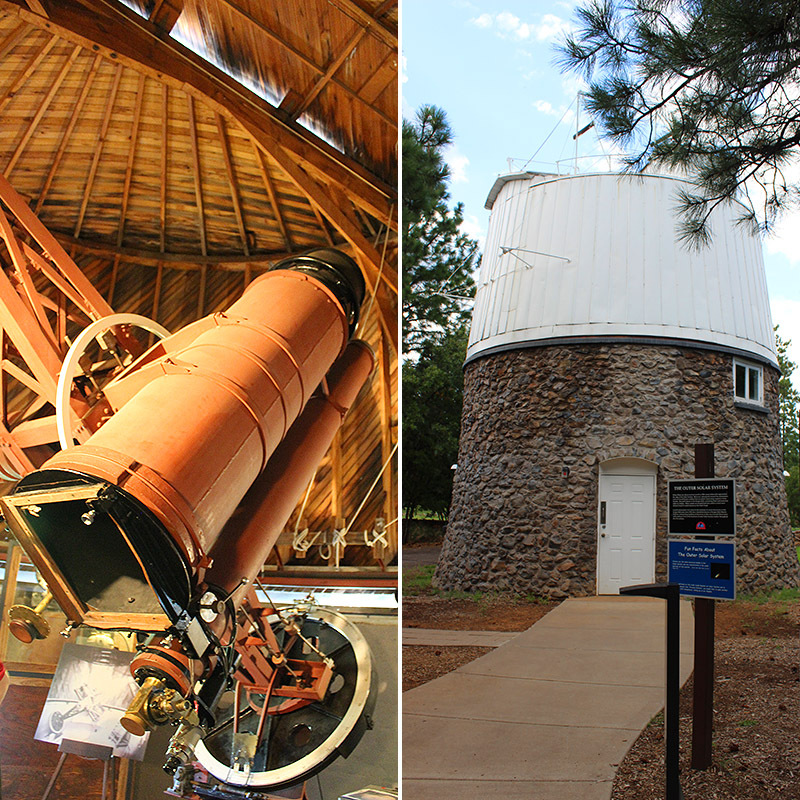 We stood on the mesa viewing area near the Lowell Observatory, and since Flagstaff is a designated dark city we couldn’t have chosen a better spot to witness the big event, near an observatory named one of “The World’s 100 Most Important Places” by TIME magazine. 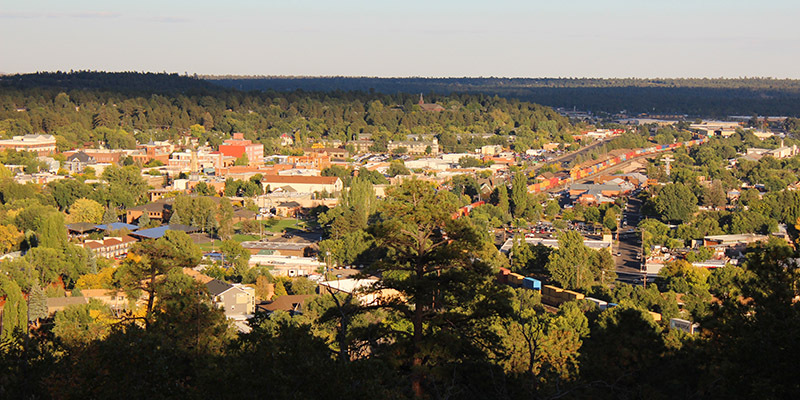 We love Flagstaff as it feels like Durango with it’s mountain town history, evergreens, pure clean air, college and cultural events. With each trip we discover something new. 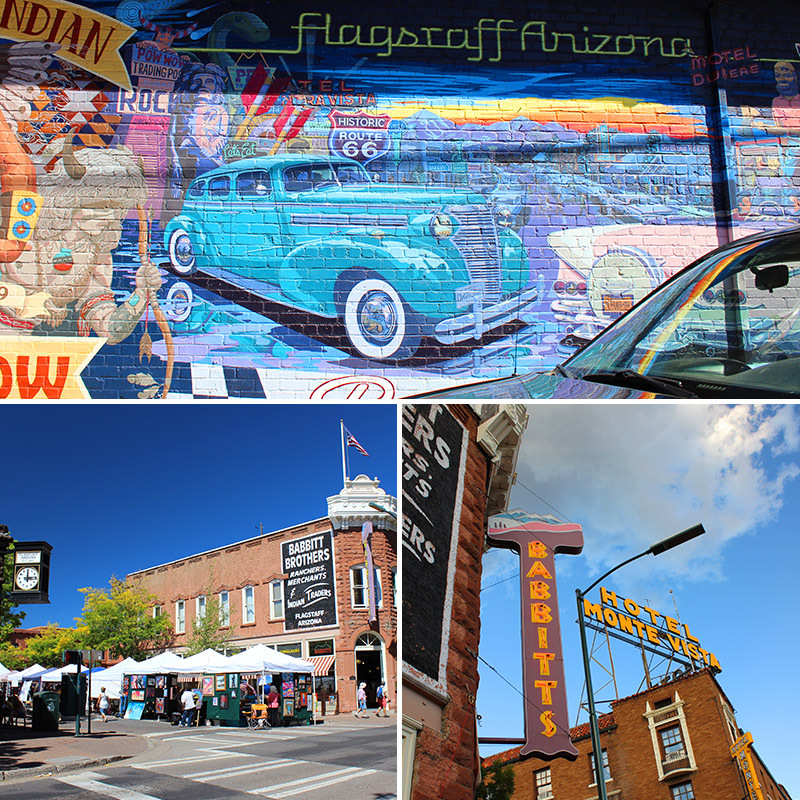 The food scene, the art, murals, history, museums, on and on, and the Grand Canyon is only an hour away. All this keeps us busy and wanting more! Unique to Flag (now we sound like locals) is the observatory, established in 1894 and founded by astronomer Percival Lowell, placing it among the oldest observatories in the United States. 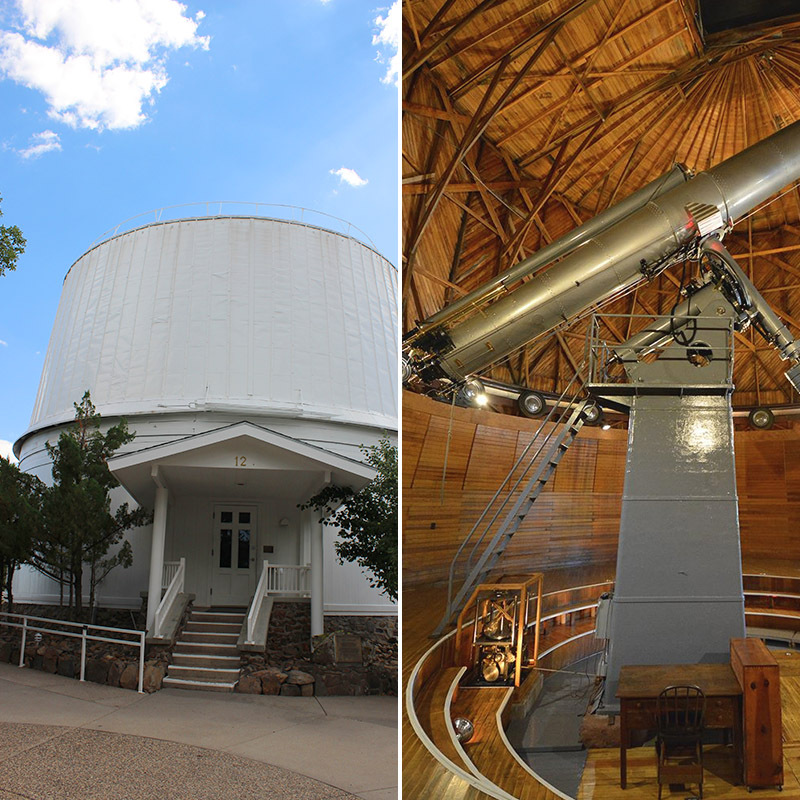 Designated a National Historic Landmark in 1965, Pluto was discovered there along with the three most visible stars, oxygen on Jupiter’s satellite Ganymede, and solar irradiance (that is a really big deal and you can read more about it here.) These are just a few mentions of their discoveries. Mr.D: We should be right in the heart of town by now. Amy: I’m looking at the GPS and it says we’re smack in the middle of Flag. Mr.D: Do you see anything? Amy: Nope. Wow, it is really dark here. Like there’s no city. Mr.D: You could drive right through it and never know. Amy: Next time we should plan to drive in before sunset. But somehow that never happens as we dawdle through the Arizona desert, nearby Sedona and stop at historic landmarks and National Parks and Monuments. So we always rely on the GPS to guide us into Flag because there is no city glow. Trust us on this. It is dark. The next day, late in the afternoon, we claimed a spot on the mesa side as dozens of astronomy professors and buffs showed up with their telescopes. They checked their position and then invited anyone who was interested to view planets and other celestial objects. They also advised us on where to position our camera and were spot on with their calculations just as the supermoon began to rise in the east for an event that hadn’t happened in more than 30 years. First the supermoon came up over the distant mountains and looked huge because it was reaching it’s full phase near closest approach to Earth causing it to appear abnormally large and bright. We were marveling how special this event was, just for Mr.D’s birthday! and the next won’t take place until 2033. 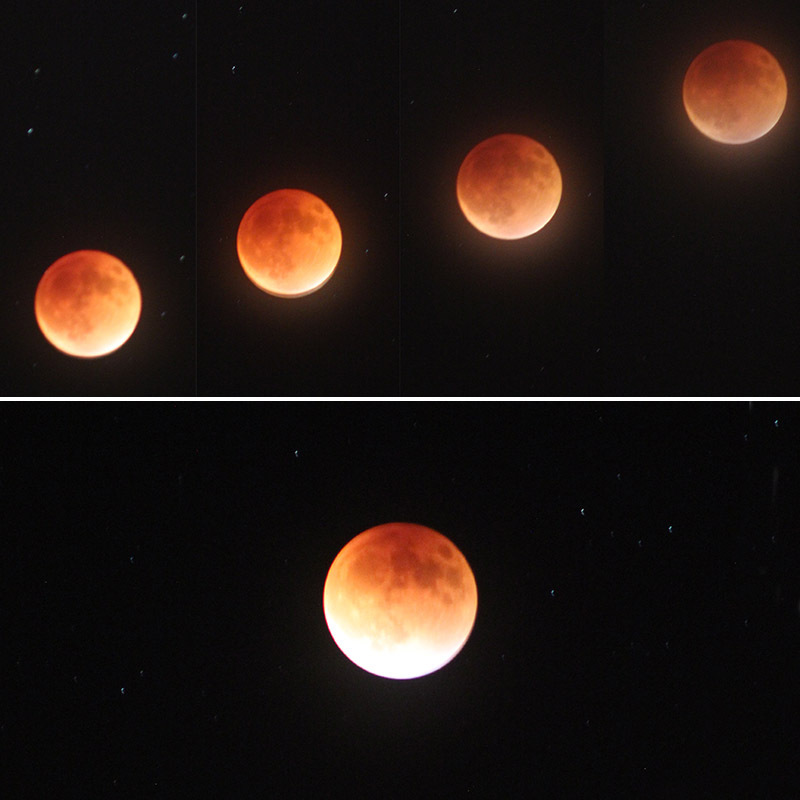 The Earth’s shadow began to pass, and the brilliant light of the moon began to show again. 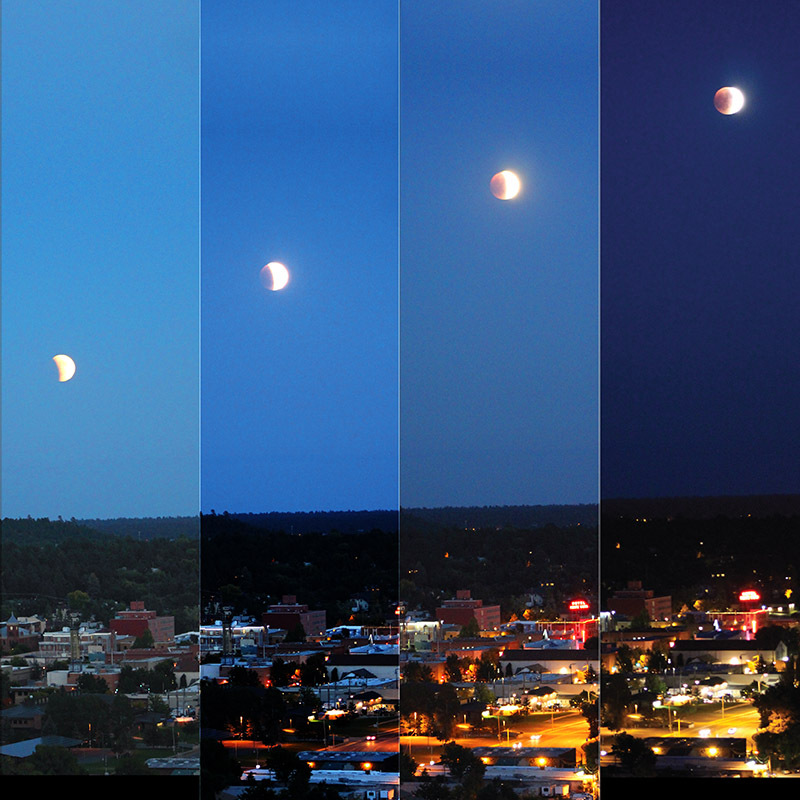 A beautiful celestial evening and an amazing event was coming to a close, and we were very fortunate to have been there on a clear night in Flagstaff to witness it. 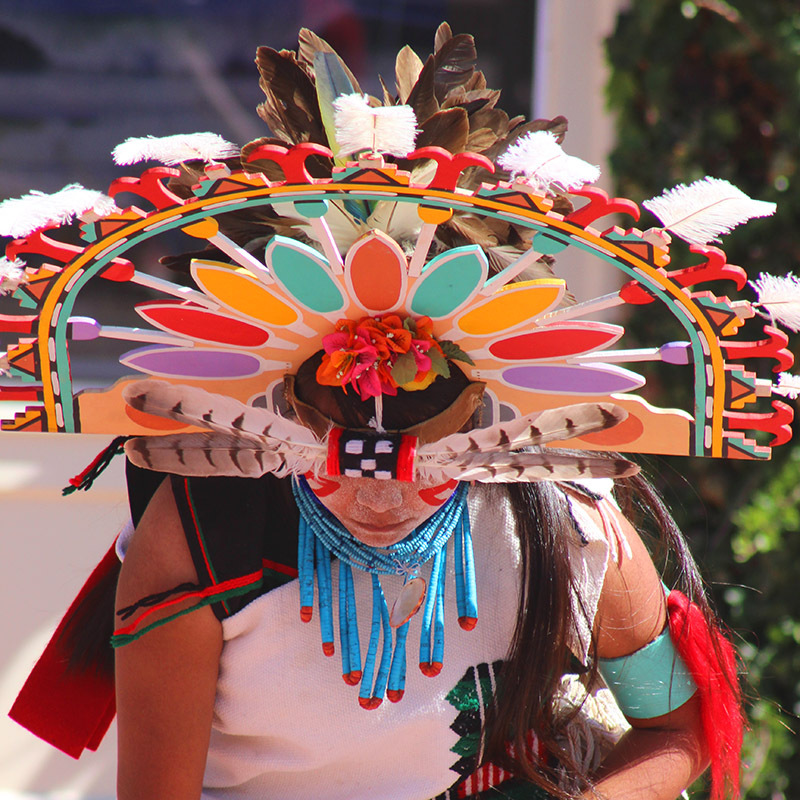 The Hopi Native Arts & Cultural Festival is this September 30 & October 1, 2017 at the Heritage Square in Downtown Flagstaff, Arizona. Want more planetary excitement? 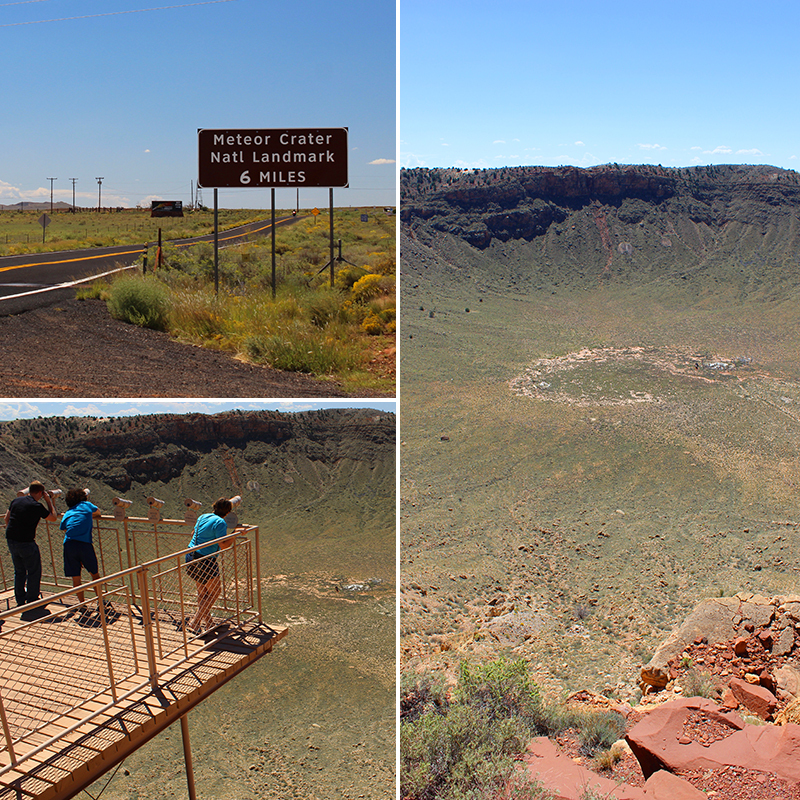 Visit the Meteor Crater just a short drive east of Flagstaff off I-40. Hi Hungry, thank you! It was an evening we’ll never forget. Nice one! Photos are amazing! Joanne, we really lucked out with clear skies and astronomers helping to direct our lens. Thanks for the comment! Flagstaff sounds like a real discovery if you can find it! Ally, so glad our tips are helpful and next time you’re in Flag send pics and we’ll share them with everyone.